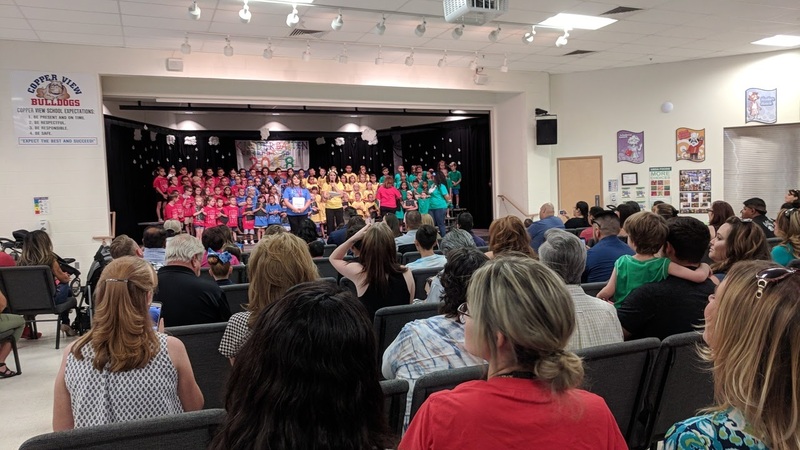 Fire had his Kindergarten show and party just a few days before school ended. 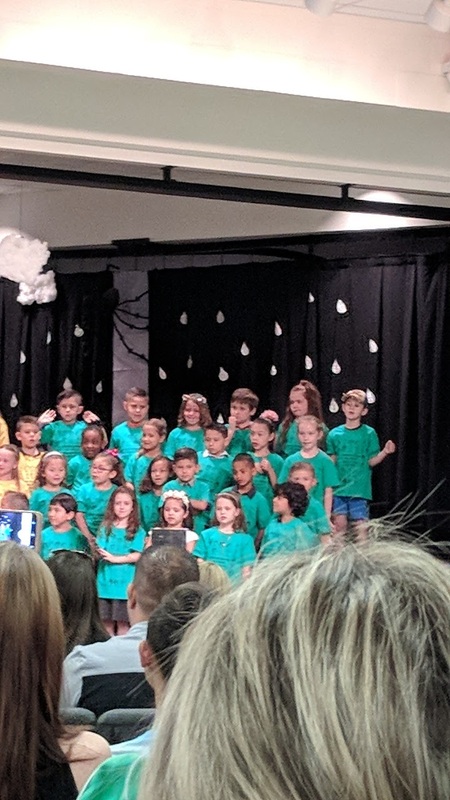 He was so excited to be wearing matching shirts with his class and to be on stage with them! They sang a few sweet songs and the principal gave a little speech and then we headed back to the classroom for a party. Fire ended the year with a long-term substitute instead of the teacher he started with and she was amazing. 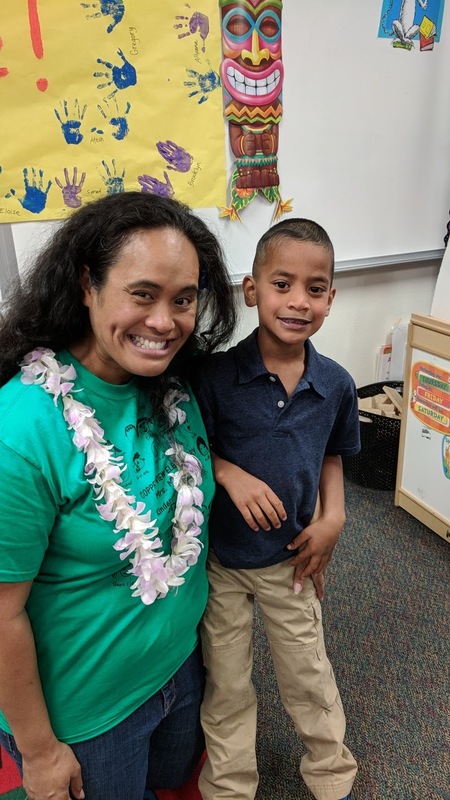 Mrs. M was from Hawaii so she understood his island life before now and she has experience working with kids on the autism spectrum so she was able to handle Fire's quirks really well. 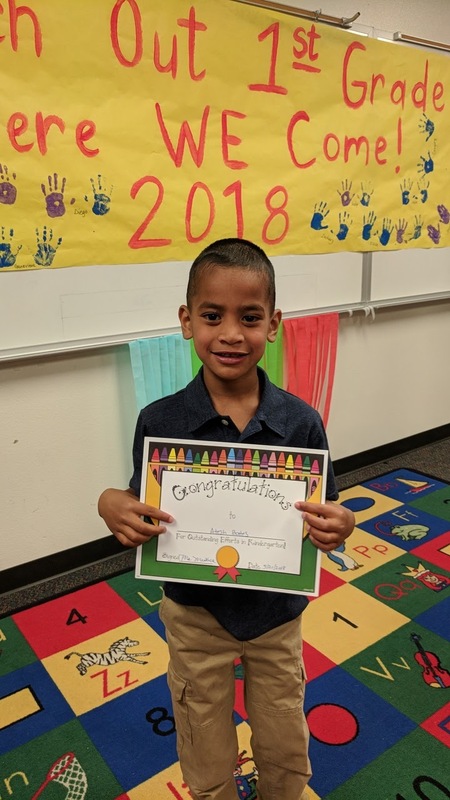 Fire had such an awesome year in Kindergarten! He took a little while to settle into the classroom environment but once he got the hang of it, he blossomed. I can't wait to see what first grade has in store for him!